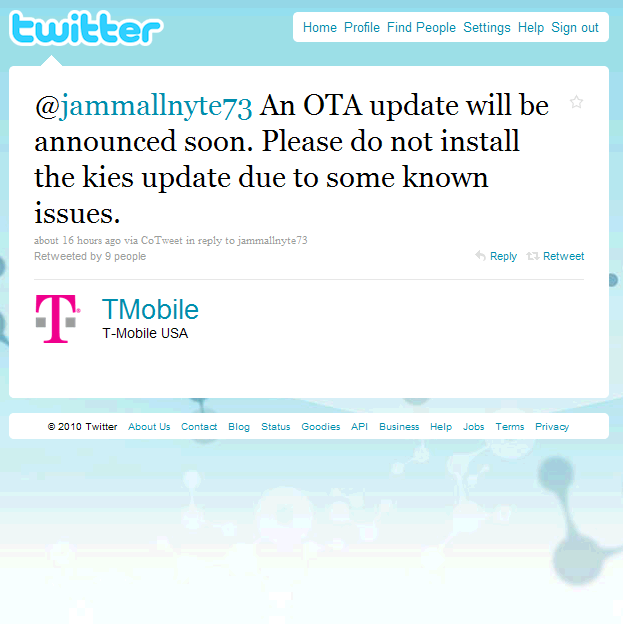 If you just can't wait one more day for a GPS fix for your Samsung Vibrant... you're out of luck, because the recent update through Samsung's sync app Kies, which was supposed to fix all GPS issues, is raising problems of its own, according to T-Mobile. 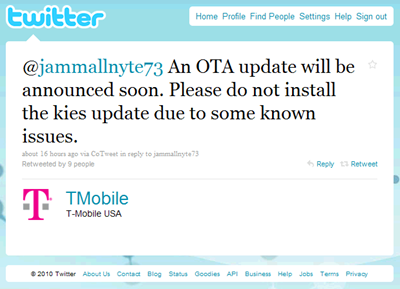 No word on what the new issues actually are, but hopefully T-Mobile delivers an OTA update "soon" like they've promised. 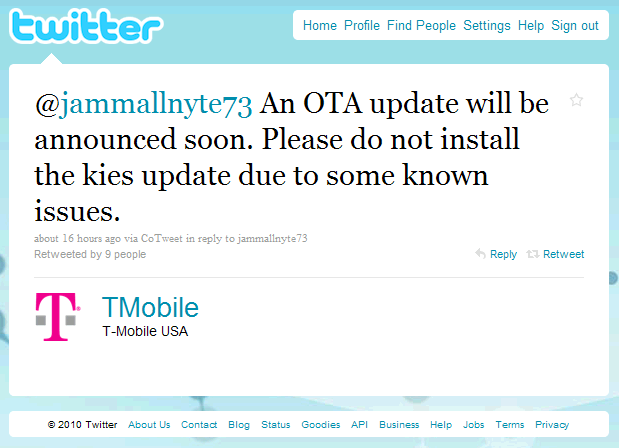 Of course, if they don't, there's always the simpler solution of hacking.